here is an online peek at the Conference Trifold. Don't despair, you can still register onsite. We will have three credit card machines to speed procession, so get there a few minutes early and don't miss a thing. It's OFFICIAL! Richard Blanco will be our Keynote Speaker! Selected by President Obama as the fifth inaugural poet in U.S. history, Richard Blanco is the youngest and the first Latino, immigrant, and gay person to serve in such a role. Born in Madrid to Cuban exile parents and raised in Miami, the negotiation of cultural identity can be found in much of his poetry. Richard has received several literary awards and honorary doctorates. He has taught at Georgetown University, American University, Wesleyan University and most recently as a Distinguished Visiting Professor at Florida International University where he developed courses on the intersections of poetry, community, and current events. Richard’s work has a way of bringing all of us together by having us ponder those universal questions we all ask ourselves on our own journeys: Where am I from? Where do I belong? Who am I in this world? MaFLA is honored to have Richard Blanco as our Keynote Speaker. Richard will also be available at a book signing event and a Question & Answer session. Don’t miss this amazing opportunity! Check out ALL the Conference Workshops HERE! 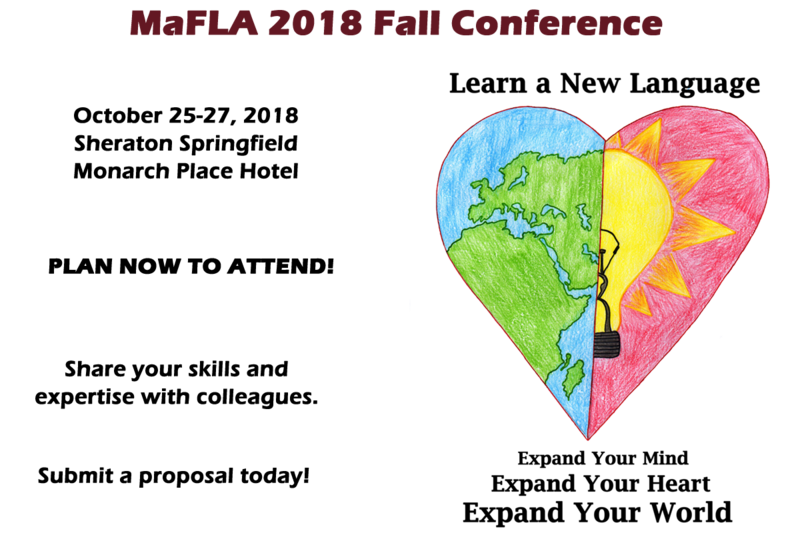 MaFLA is delighted to welcome you back to Springfield for our 51st annual Conference. With the benefit of experience and your suggestions, it will be even better the second time around! Special group pricing will again be available at the Sheraton Springfield Monarch Hotel, Click HERE to reserve your room.